This is a very pretty and tasty treat. With the weather getting a little warmer, the sun shining in the beautiful, blue sky, it’s time to be on a beach eating ceviche. It’s perfect this time of year, light, bright and refreshing. We have had some beautiful weather in DFW of late and Spring has kinda sorta sprung. Even the clocks sprung forward this past week. The grass is beginning to green up and grow. People are beginning to mow their lawns. We’re beginning to see Spring veggies at the market. In fact, last weekend, our local market had hot cherry peppers!! Dallas Blooms is happening and it’s planting time in the garden. Life is good. 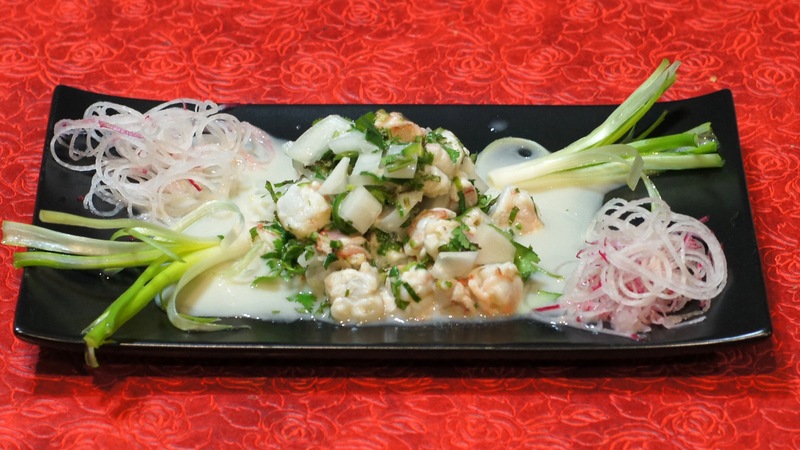 It’s times like these that we really want something light and bright, like this wonderful ceviche. 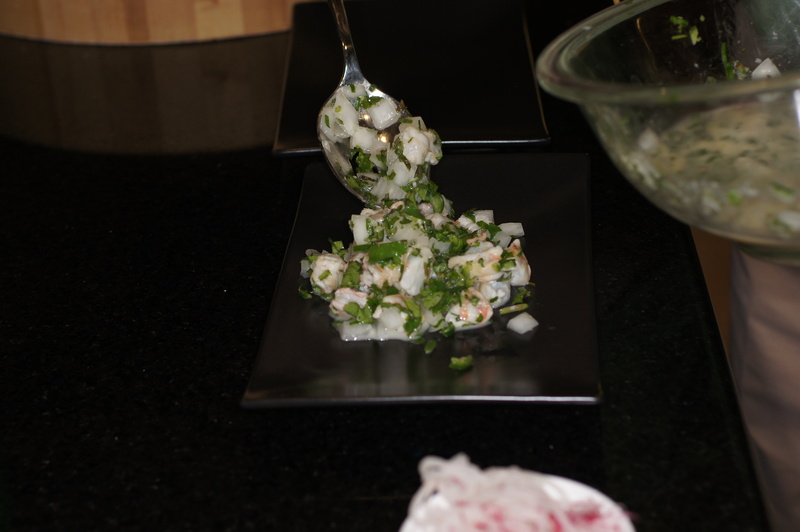 Now, if you have been reading this blog for a while, you know Baby Lady and I love ceviche. 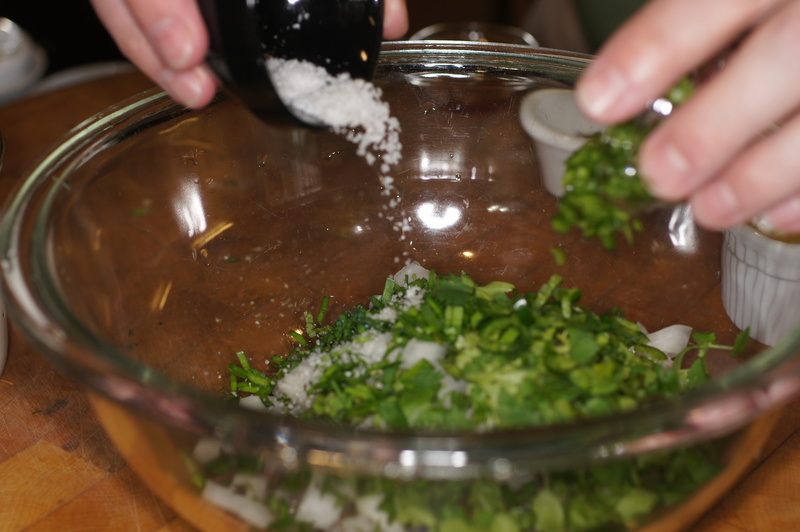 It’s such a versatile dish, is simple and has the freshest ingredients. How can you go wrong with that combination? 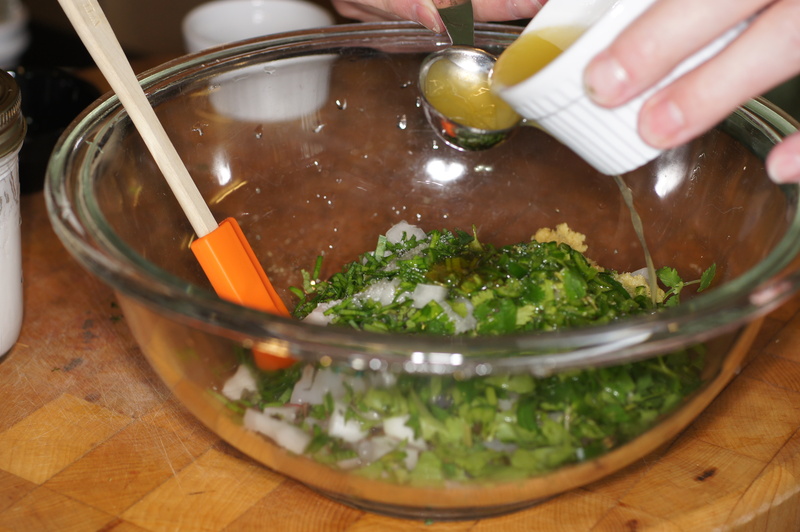 You can serve it for lunch as a salad by itself or on a bed of lettuce, other greens, or veggies. You can serve it as an appetizer at dinner or as a light dinner by itself or with other small plates. 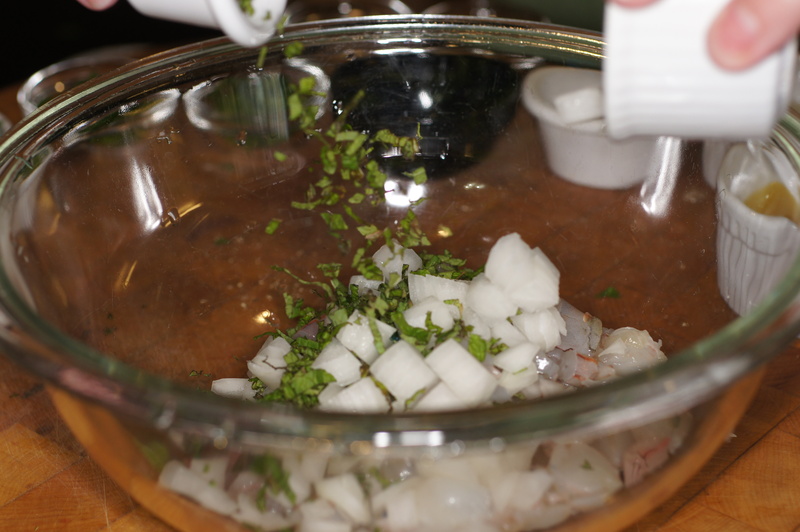 Sadly, when most people think of ceviche, all they think of is either shrimp or white fish in lime juice with some hot chiles, maybe some onion and cilantro or parsley. 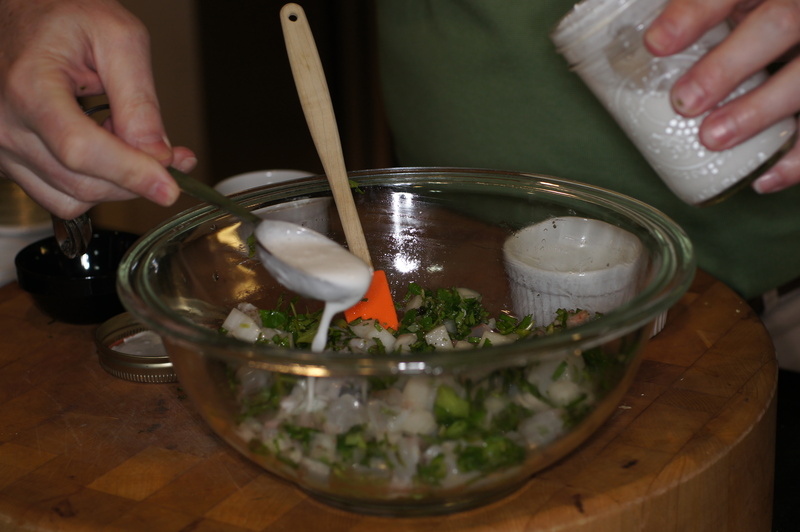 While that is one way to fix ceviche, there are countless ceviche preparations. 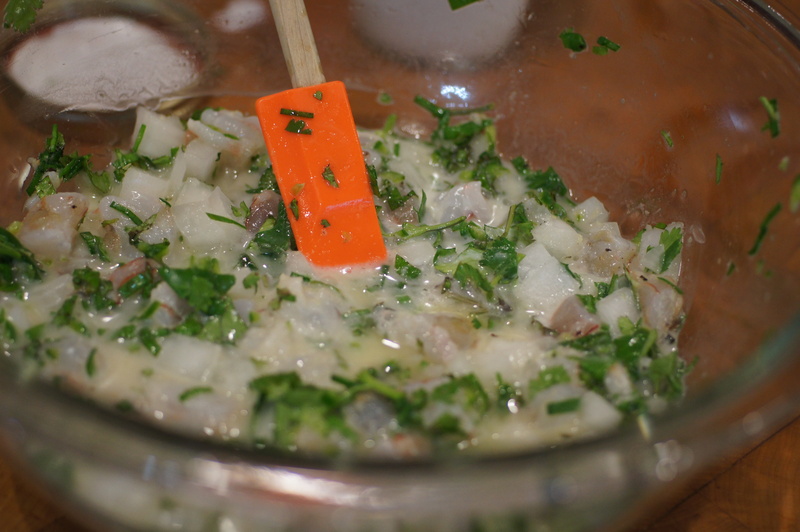 We’ve featured 3 other, very different, ceviches on the blog and this one is different still. 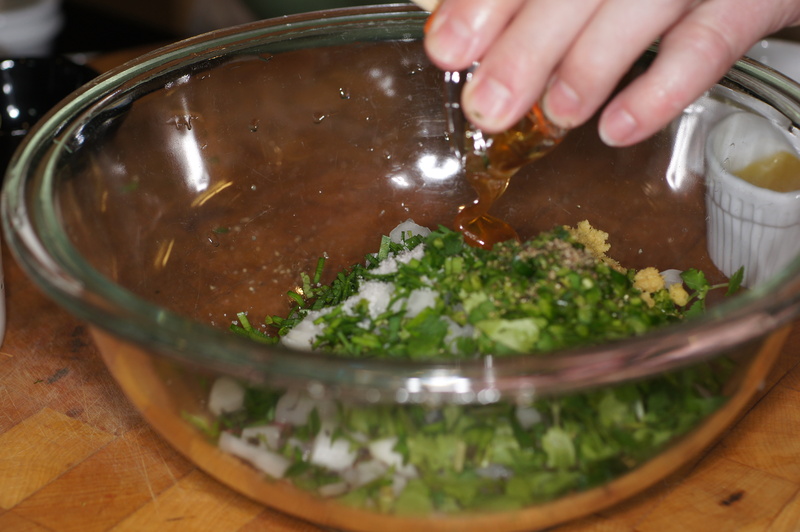 There is just so many different fishes you can use in the ceviche and you can do many different treatments. This one is fun because it is an Asian flair with coconut milk. Now with Spring approaching or already here, give this a try. You will be glad you did. Mix it all together. Make sure there is enough liquid to cover the shrimp. 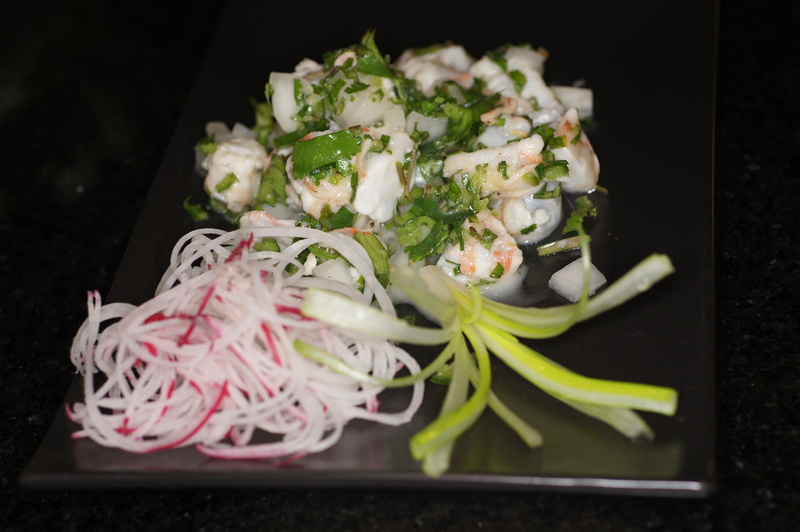 Spoon ceviche sauce over the top, serve & enjoy. I am very familiar with the Mexican version and I really want to try this recipe. It sounds fantastic. If you are looking for a great beer to go along with your recipe follow my blog for the best recommendations. Thanks for dropping by and your nice compliment. When I’m looking for great beers I will drop by your bog. Hope to see you around. Very nice Richard. Sadly, still hovering around zero here. This sort of spring dish is about a month (hopefully) too soon. Sorry it’s still cold, Conor. The weather here has been lovely. I even wore shorts this past weekend. 🙂 I would love to try this dish with those beautiful prawns you keep showing us. My mouth waters every time you post photos of them. This is a wonderful dish, Richard, and the photography truly beautiful — just as I’ve come to expect whenever I visit. I must say, though, that your dishes are all so very well-presented. It really is a delight to come here and see not just what you’re serving us but how. Thanks for taking the time to do so. Thanks, Stefan. Living near the Gulf of Mexico we get an abundance of shrimp. I would love to try this dish with langoustines but they are very expensive. We can buy fresh shrimp for $US 10.00/lb. It’s just now coming into season so the price will drop to $US 8.00/lb fairly soon. 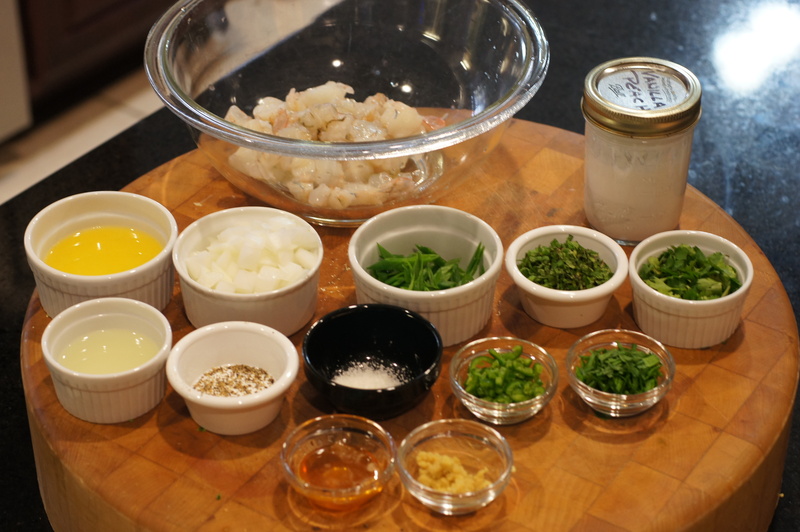 Like all the delicious flavours of another asian love (Prawn Laksa) but without the heaviness. 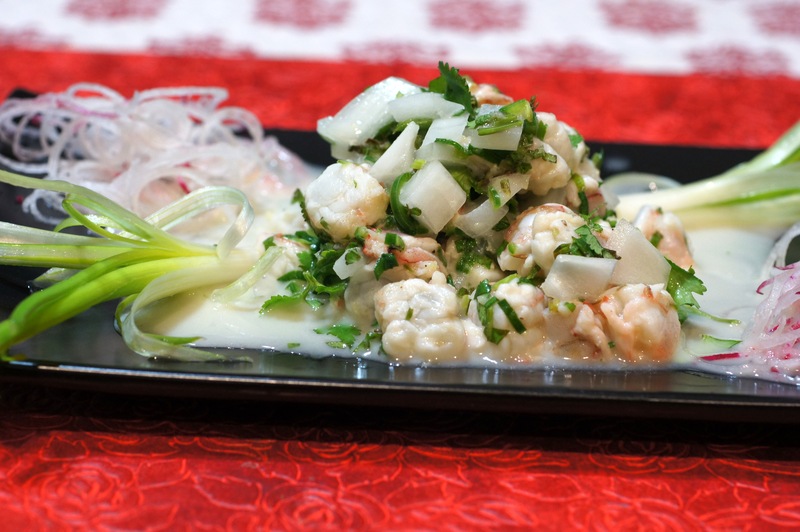 I’ve never tried a prawn ceviche before and with coconut milk it’s a definite yes! I love pickled radishes too and those little strips look so dainty with that flavoursome ceviche. Plus bonus, you get to use the new toy too! Hi, Alice. Yes, we got to play with the new toy. It’s very fun. If you like prawns and coconut, then this is a dish you definitely must try before the winter comes. There is a lot of freshness with bright, tropical flavors going on in this dish.